I am an Ippudo NY addict but sadly (for me) the waits can be long, and if I happen to be midtown, their branch in that area is not as good as the original on 4th Avenue. We were at a cocktail party with mediocre snacks uptown and sneakily disappearing for some Ramen seemed too compelling. We decided to try Totto Ramen, often listed as one of the best ramens in NY, and so popular they now have three outlets. The wait was a mere 20 minutes, which in ramen measurement is considered quick, and by the time we read the menu, we were promptly sat at the counter. They take your order before you sit and in 2 minutes our bowls of piping hot Broth with noodles landed in front of us. To be honest, we were in and out in 20 min (not including the 15 minute wait) and I was amazed at how quick the turnaround was. 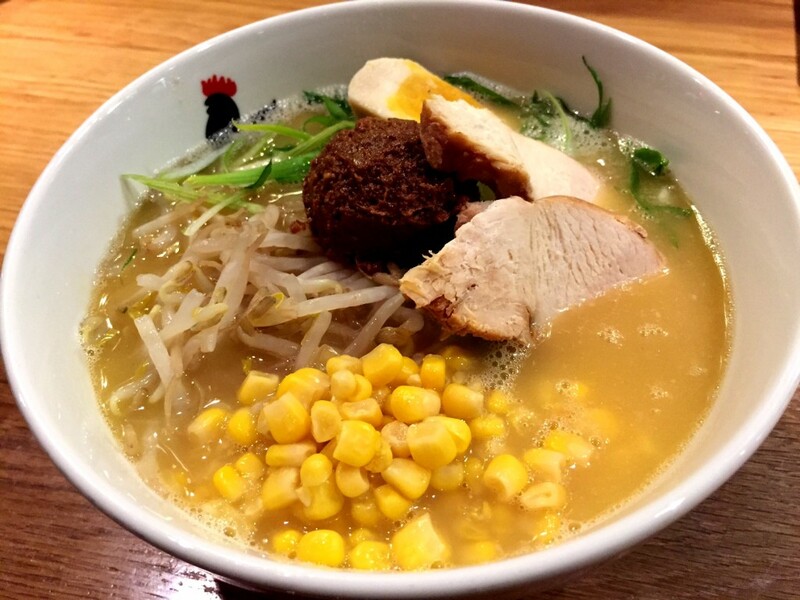 All of Totto’s ramens are with their chicken paitan broth, which is an opaque broth from chicken bones. 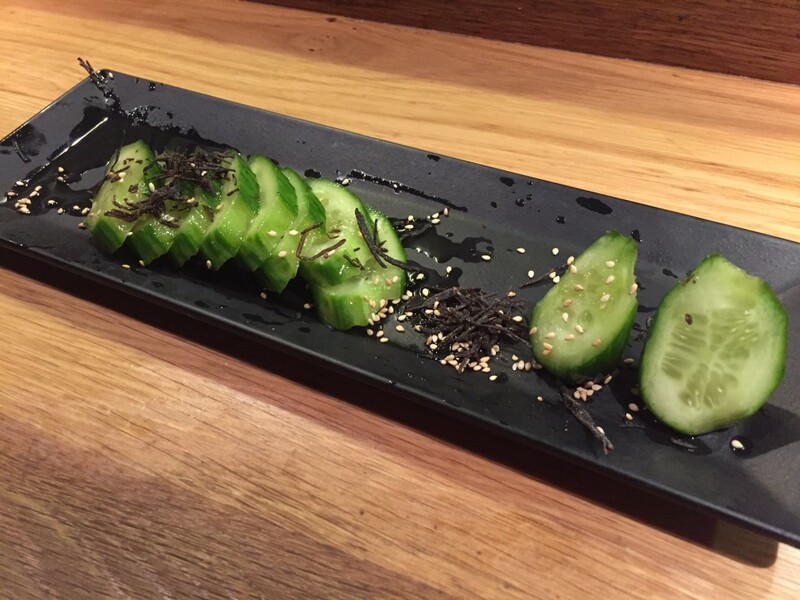 Cucumber salad: Oh I wish this tasted 10% as good as the Ippudo cucumber salad but sadly I had one slice and that was one slice too many, not crunchy, yummy or interesting but instead was salty and had too much vinegar. I had their miso ramen with their specialty chicken broth and curly noodles. They offer straight noodles too, but the waitress taking our order suggested curly, along with the chicken char siu. The broth was rich and creamy and the noodles were cooked perfectly with a bite to them. The egg was way overcooked and the chicken was dry, and I longed for the porky flavour from the Ippudo broth. The ramen literally had a massive dollop of miso on top to be mixed in but I had one taste and it was so overpowering that I scooped it out and left in on the side. Spicy Paitan: Stewart had the spicy broth and pork char siu (of course). We found his broth too black peppery versus spicy, and his pork way too fatty. In sum: decent ramen but I would stick with Ippudo downtown and Ivan Ramen. My friend Paul also said upstairs from Totto Ramen, there is a place called Hide-Chan that is very good. We must try it out next time! 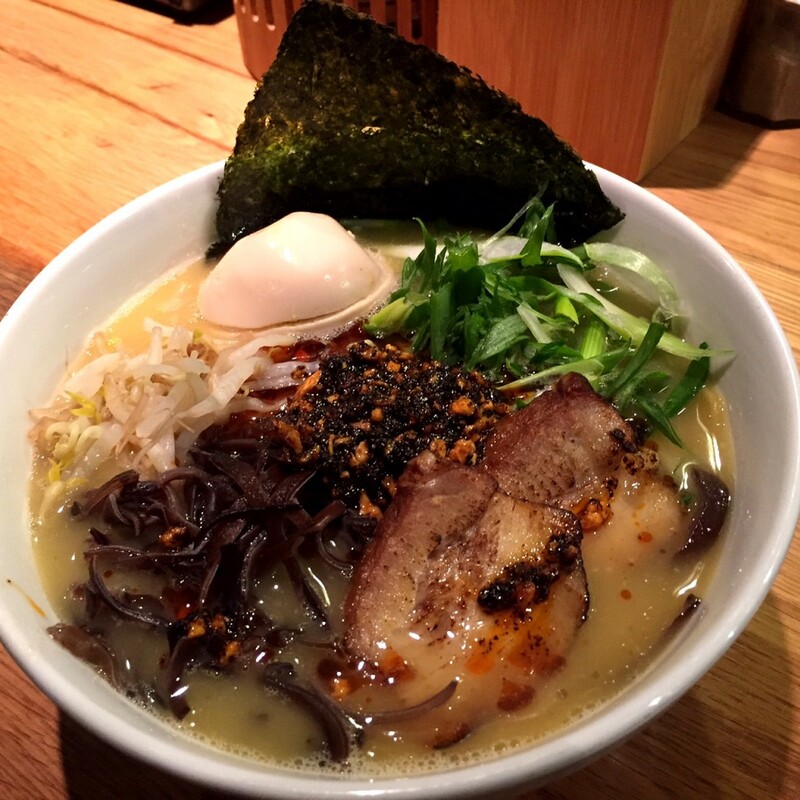 The post Totto Ramen Review: Not the Best Ramen in NYC appeared first on Food Expectations.